So, I’ll be attending the New York City Comic-Con this weekend, but will largely be floating around. If, by any chance, you’d like to say hi or have something you’d like signed, I’ll be at the Oni Press booth from 5:00 to 5:45 on Thursday. 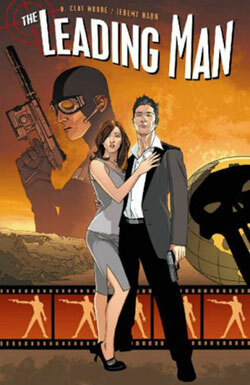 I would imagine they’ll have a few copies of THE LEADING MAN, which has recently seen Justin Lin (Fast and the Furious) attached to direct a film version from Universal. Artist Jeremy Haun will be at the show, too.